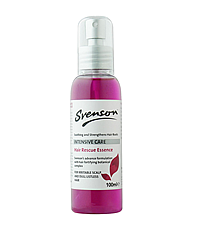 repairing properties that relief any discomfort related to common scalp problems. Hair roots are strengthened with regular use thus promoting stronger healthier hair growth. The hair becomes vibrant and radiance after use. complete effect. Use twice daily for best result. This entry was posted in 1 and tagged Fr3b, Free giveaways, free samples, freebies, HAIR RESCUE ESSENCE, S’pores 1st Sampling Concept Store, singapore free beauty samples, singapore’s 1st online sampling platform, skincare, SVENSONS, www.fr3b.com. Bookmark the permalink.